Seth was @Wikileaks DNC source. Seth was killed for that reason. Seth is one of many Clinton victims. Seth is a hero for preventing Clinton. With Special Counsel Mueller sitting on the juicy files seized from Comey’s offices and authorized to spend large amounts of money on the Russia investigation, Congress can spend lots of time and effort on witch-hunting. The Washington legal establishment will make money. The Washington media will make lots of money. No one has to explain where all the money missing from the federal government went and why there is no money to bail out pension funds or pay for health care, infrastructure or tax reform. Much easier to keep shooting money down the black budget and to keep the trillions stolen so far and the invaluable assets financed. Keep everyone busy and distracted. Don’t blame Congress. Blame the guys who financed the bullet that went into Seth Rich’s back. Then remember one thing. The Salem witch trials ended because Cotton Mather realized that if everyone kept going to court for the witch hunting instead of planting their fields, the colony would starve the next winter. You and are financing this. The question is, “Why?” If our money is better spent on investing in health, education and transparent space exploration, what do we do? How do we enforce the law – including the financial management laws- when the government is breaking it? This will be the topic of our 2nd Quarter Wrap Up. Still want to Make America Great Again? 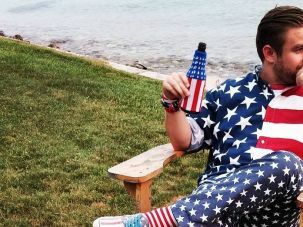 Here is one step: Bring Seth Rich’s killer to justice. Forget the FBI, DOJ and the DC police. Simply figure out who did it, who paid them and send the information viral throughtout the planet. Convict them in the court of popular opinion.